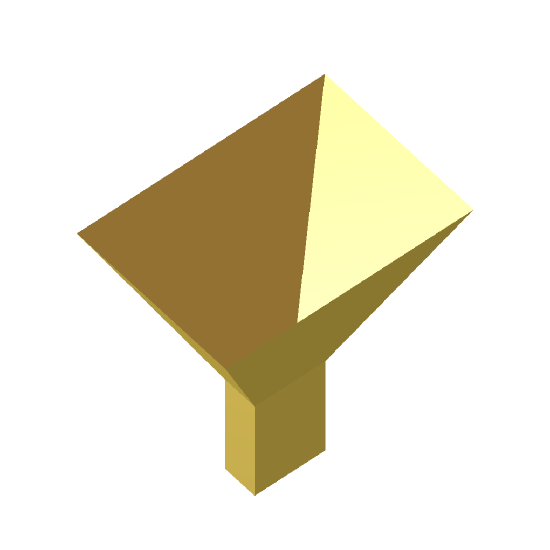 Image of the Waveguide-fed Pyramidal Horn. The rectangular waveguide horn is one of the simplest microwave antennas. Its existence and early use dates back to the late 1800’s, and it is widely used throughout the world as a feed element for large radio astronomy, satellite tracking, and communication dishes. In addition to its utility as a feed for reflectors and lenses, it can serve as an element of phased arrays. It is commonly used as a universal standard for calibration and gain measurements of other antennas. As such, it is referred to as the standard gain horn, e.g. [Mayhew-Ridgers, G.]. The design approach is for an optimum horn. This is one that approaches maximum gain at the shortest possible length. 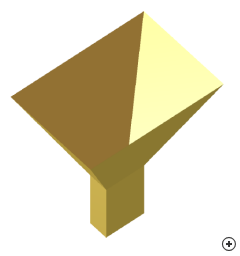 The first rectangular horn of the pyramidal variety was used by J.C. Bose in 1897, which he termed a “collecting funnel”. When both the E- and H-plane flare angles are zero, it reduces to an open-ended rectangular waveguide, which is often used for near-field antenna measurements [Yaghjian, A. D.].